40: At A Time Like This. This card was mailed in January, 1944. 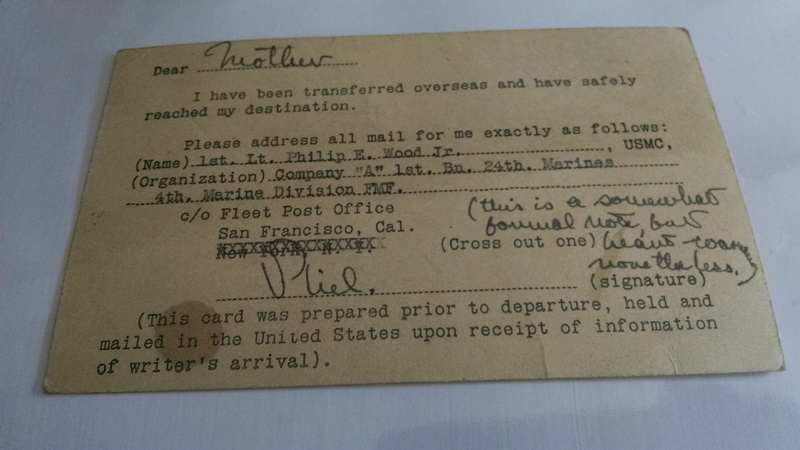 Phil’s unit was headed overseas–the survivors would not return until October, 1945. Date unknown. Written on the USMC stationery characteristic of Phil’s Camp Pendleton letters, and similar in tone to the introspective winter of 1943. This letter breaks off in mid-sentence; it is not known if Phil intended this musing for mailing or if it was sent home with his effects.